We enable our students to become competent, confident, independent scientists with a genuine interest in the world. Our students develop their understanding of scientific processes by being encouraged to view the world around them critically and with curiosity. We emphasise the relevance of the subject in today’s society and the importance of a working knowledge of scientific enquiry. We challenge our students to ask ‘how?’ and ‘why?’ and by doing so we foster a lifelong interest in the subject. Through our teaching of the subject content, we encourage the development of a wide range of skills that will be of use in many areas of their future lives, not least in the world of work. Good scientists are both numerate and literate and we aim to provide a variety of opportunities for pupils to seek out new ways of developing through real science experiences. 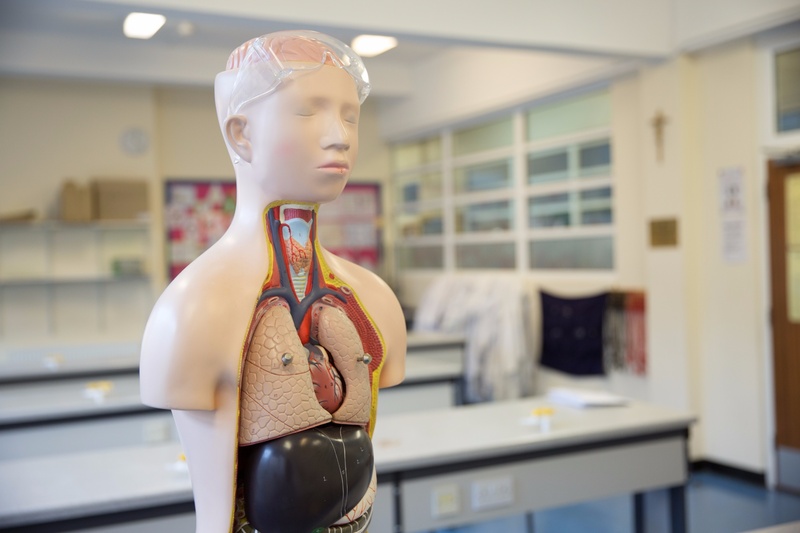 The two year course covers the QCA programme of study for KS3 science, excluding some topics which are taught in Upper 4th at the start of GCSE. This programme focuses on the development of skills at a practical level. We utilise the Cognitive Acceleration through Science Education (CASE) programme to boost scientific enquiry developing an awareness of reliability, validity of data and evaluation. Pupils will have already begun to study the GCSE Science courses during Upper 4th. They will be able to choose which Science subjects they wish to continue to study to full GCSE level. They may choose all three or just two. Biology is the study of all living things - how they work and how they interact within the environment. Pupils develop skills which are essential for further progress in a scientific career but also skills and information that will help them through life. Biology is the scientific extension of the natural human tendency to feel connected with, and curious about, the living world. Biology is for the adventurous. Biologists are now unravelling life’s mysteries and are poised to make an undreamed of contribution to future generations. Residential field work is a compulsory element of the A2 course; it is undertaken at the end of the Lower Sixth in June. Field work is the essence of Biology, as it involves examining organisms in their habitat and investigating their significance.